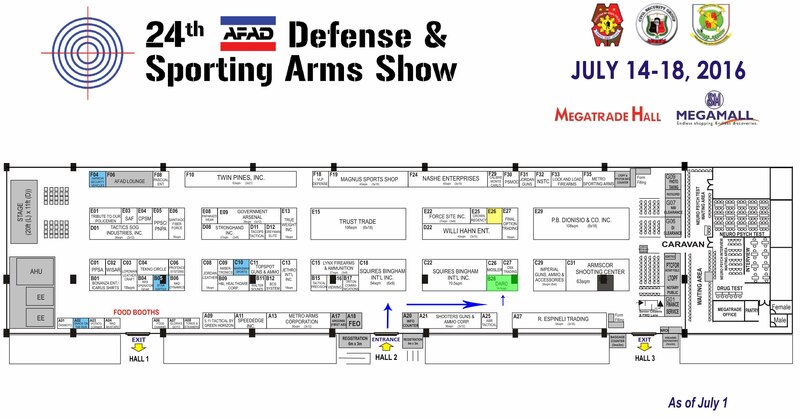 Defensive Armament Resource Corp. (DARC) will be one of the exhibitors in the longest running and biggest gun show in the country, the 24th Defense & Sporting Arms Show. 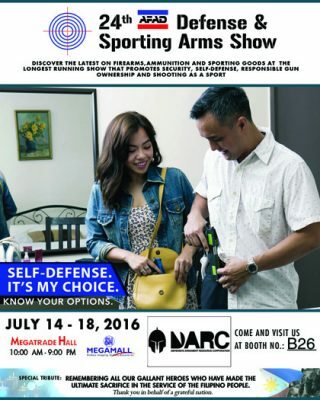 The show boasts of having the newest and latest firearms, accessories and other related products on display along with free seminars and the PNP LTOPF/PTCFOR Caravan for the 5 day duration of the show. Drop by the DARC booth to take advantage of the discounted prices for firearms and accessories, including DARC’s main brands like Kel-Tec, FNH USA, Fobus International, Automatic Holsters, Mesa Tactical, Technaclip, Man-Pack and more! The show runs from July 14-18, 2016 (Thursday to Monday), at the SM Megatrade Hall, SM Megamall, Mandaluyong City.